Gear S3: How do I Restart the Gear if it does not Respond? If your Gear is unresponsive, please press and hold the Home key (Power key) for more than 7 seconds to restart it. If the device still freezes after rebooting, as described above, please perform a factory data reset. Please make backup copies of all important data stored on the Gear before performing factory data reset. Samsung is not responsible for any data loss. If the problem is still not resolved, do contact a Samsung Service Centre. 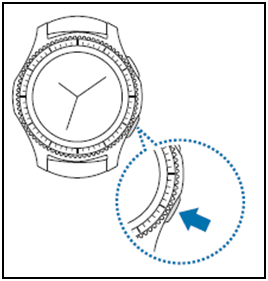 How do I remotely lock or wipe my Samsung Gear S3 Frontier (SM-R760)? While using Gear IconX, audio quality is poor or sound volume was lower than before?